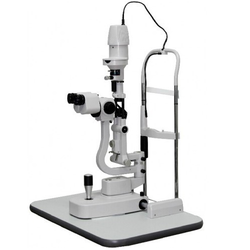 Glass Agencies EROSE are manufacturer of Slit Lamp Zeiss Type Three Step. High Quality, 3/5 steps slit lamp , available with CE mark in LED and Halogen Option as per demand of Customer. We are a most trusted name amongst the topmost companies in this business, instrumental in offering high quality array of Slit Lamp Bio Microscope. 2 steps, 3 steps and 5 steps. Led and halogene light source. Good quality optics. Device attachable. Comes with manual and motorized table. Delivery Time : 2 weeks. 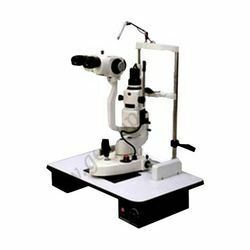 With the help of our expert team members, we have been able to provide Video Slit Lamp Microscope.